Adopting a healthy diet is the most essential component to achieving a healthy and happy lifestyle. What we eat directly affects our mood, energy, weight, and general health. In addition, studies have supported the 80/20 rule of thumb proving that Diet is more effective than Exercise in achieving overall health as well as weight loss goals. That being said, let’s take a deeper look into the yummy and healthy Mediterranean Diet. Being from Italian decent myself, I am naturally a huge fan of this style of eating! 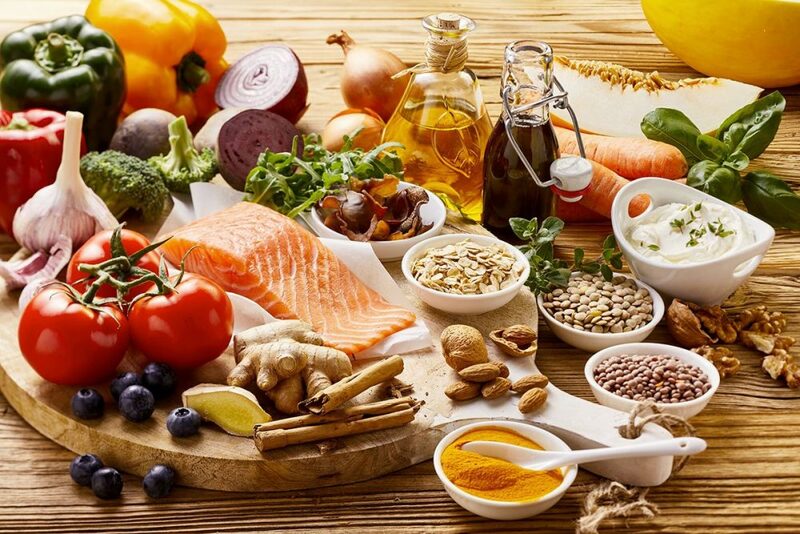 It is a diet inspired by traditional Mediterranean countries consisting primarily of natural seasonal foods simply prepared such as fruits, vegetables, whole grains, nuts, extra-virgin olive oil, legumes, fish, chicken, healthy fats, herbs, and seasoning. It promotes eating red meat in moderation and limiting the use of salt… and yes, red wine! (which is optional of course and encouraged in moderation) This way of eating has been proven to reduce the risk of heart disease, cancer, bad cholesterol, and other chronic diseases in addition to boosting overall health. Among other yummy Mediterranean dishes, I personally love a tasty Mediterranean-inspired salad. They are fresh, vibrant, and you can literally create a million different combinations- so don’t be boring with your salad, get creative! Simply choose your greens, veggies, protein, and done. One of my fav go-to choices is a bed of arugula, mixed with chopped tomatoes, cucumbers, onion, topped with sautéed or grilled shrimp or chicken, a sprinkle of sesame seeds, and an olive oil vinaigrette. Add a small piece of whole grain bread with a side of olive oil for dipping and voila! My taste buds are soaring, and I am left feeling delightfully satisfied getting in a healthy AND delicious meal.